This book challenges a lot of what we have come to know in the church/Christian Subculture. Jake challenges us to make ways for teenagers to ask questions and explore their faith, rather than spoon-feeding them. Youth workers are in a tough spot these days. On the one hand, we're finding that teenagers who have little to no church background and Bible literacy tend to be hyper tolerant of all religious views except for Christianity. On the other hand, students who grew up in the church and have heard all of the “right answers” are still struggling to articulate their beliefs and live them out day to day. When these two realities combine in youth ministry, they can make teaching teenagers about spiritual things an infuriating experience. It can feel like you're banging your head against a brick wall. More on Teaching Teenagers . . .
As a follow-up to Brock Morgan's exceptional Youth Ministry in a Post-Christian World, this book will help you shift from being a content dispenser to a conversation cultivator. It's time we stop treating teenagers like consumers—even when we really believe in what we're selling. Instead, let's create learning environments that lead to faith exploration and ownership. 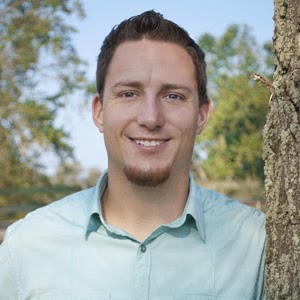 Jake Kircher has been working in youth ministry for 13 years as a pastor, writer, and speaker. He currently serves as the youth pastor at Grace Community Church in New Canaan, Connecticut. He is married to Melissa, and they have two kids: Sean, 2, and Nora, 1.